Retro is revolutionized with a transitional twist in the Westerly collection. This collection features soft modern lines for a perfect blend of old and new. 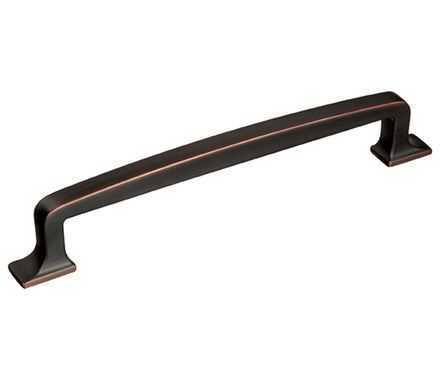 The Amerock BP53722ORB Westerly 6-5/16in(160mm) Center-to-Center Pull is finished in Oil-Rubbed Bronze.